Though the new year only just began, it’s never too early to start thinking about your 2018 travel plans. And this year, why not go outside the box and book a stay somewhere a little more memorable than your average hotel? 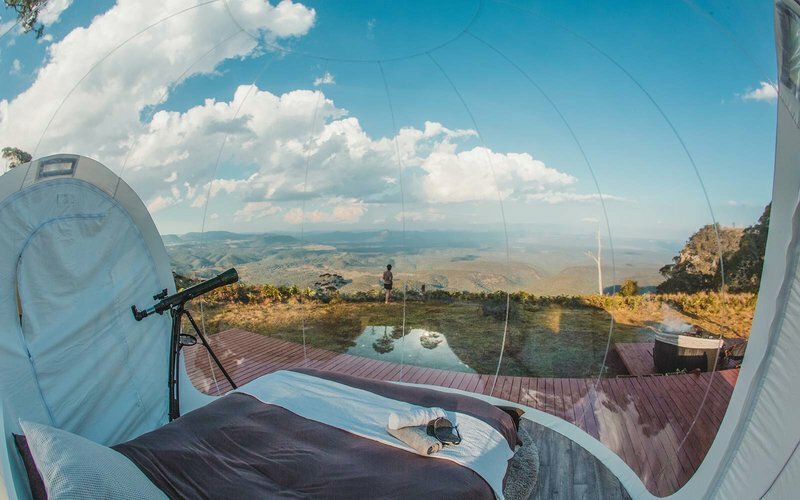 For some wanderlust inspiration, check out our picks for some of the craziest places to sleep in 2018. If you’ll be making your way to Amsterdam in the near future, consider staying at the Yays-Crane Apartment on KNSM Island. As the name suggests, the digs are housed in a converted harbor crane that was gutted and transformed into a three-story luxury apartment. 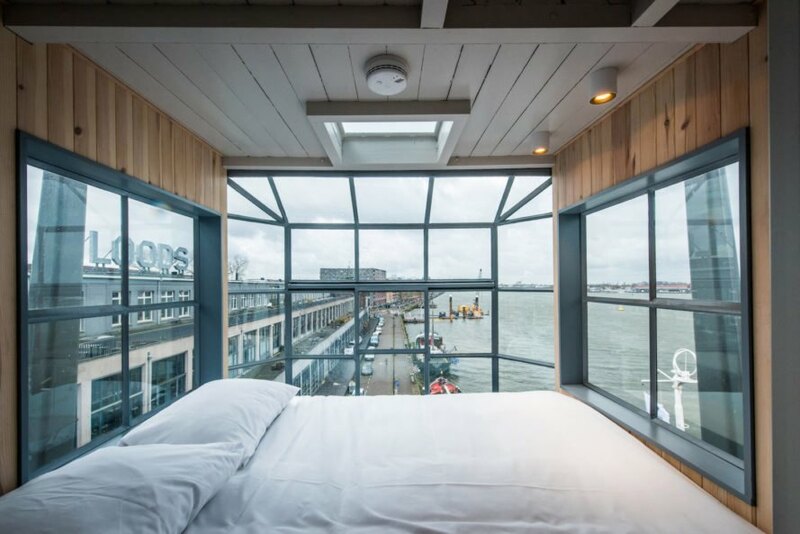 Guests can enjoy panoramic views of the IJ River from one of the flat’s two bedrooms as well as delicious meals in the fully equipped kitchen. The minimalist design is meant to evoke the industrial heritage of the island, which was a bustling dockyard in the 1950s before evolving into a dynamic hub for creatives and free-thinkers in the latter half of the 20th century. When visitors aren’t busy lounging in their bright-blue storage container home, they can explore the neighborhood’s many art galleries, bars and hip eateries. If the Yays-Crane Apartment seems like the vacation spot of your dreams, you can book it for $900 a night. 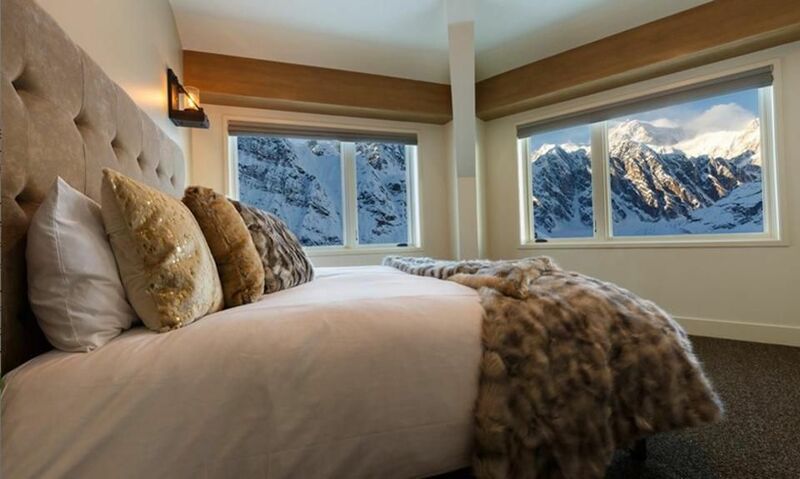 Perched atop a glacial peak in the Alaskan wilderness sits Sheldon Chalet, the perfect getaway for the intrepid adventurer. The area was previously only accessible to experienced mountain climbers, but the Sheldon family has since opened it up and made it possible for anyone to fulfill their pioneering fantasies. 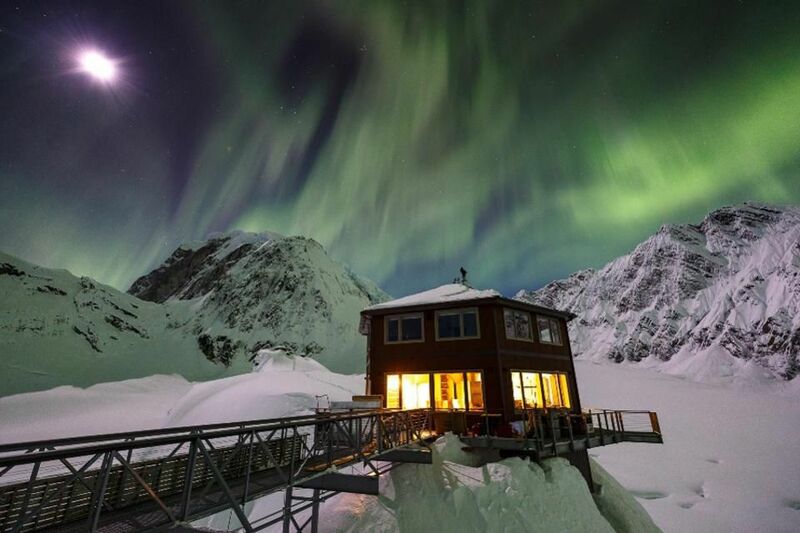 While the house is isolated from the outside world thanks to its remote location in the state’s Denali National Park and Preserve, guests will find a plethora of exhilarating activities waiting for them. Favorites include helicopter tours, moonlight treks, rappelling, sledding, crevasse exploration and trips to historic sites outside the Don Sheldon Amphitheater. The chalet sleeps up to ten people in its five bedrooms, all of which feature stunning mountain views. The all-inclusive rate—including gourmet meals, drinks and sauna access—comes out to $2,300 a night, a small price to pay for this slice of heaven. 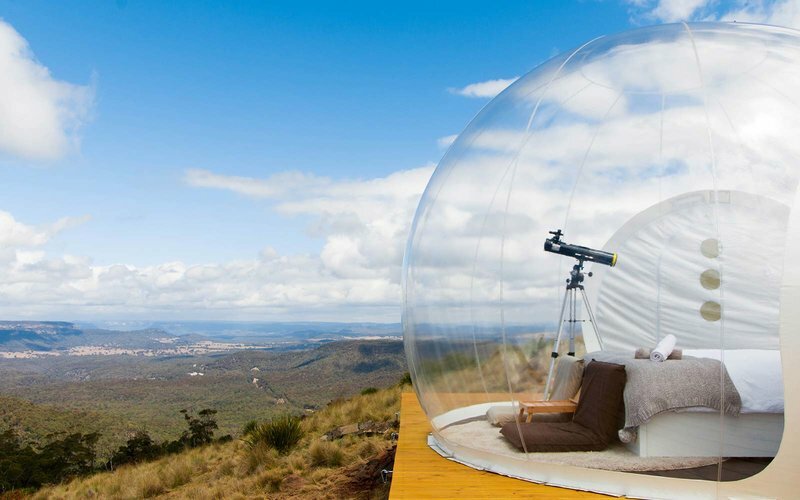 Located in Australia’s Capertee Valley, the Bubbletent is just that: a tent made out of a clear plastic bubble. The novel hotel is geared toward serious indoor folks who want to enjoy the grandeur of the great outdoors without sacrificing the comforts of home. That’s why this “tent” is outfitted with a full queen bed, goose down pillows, a telescope for stargazing and, of course, champagne. 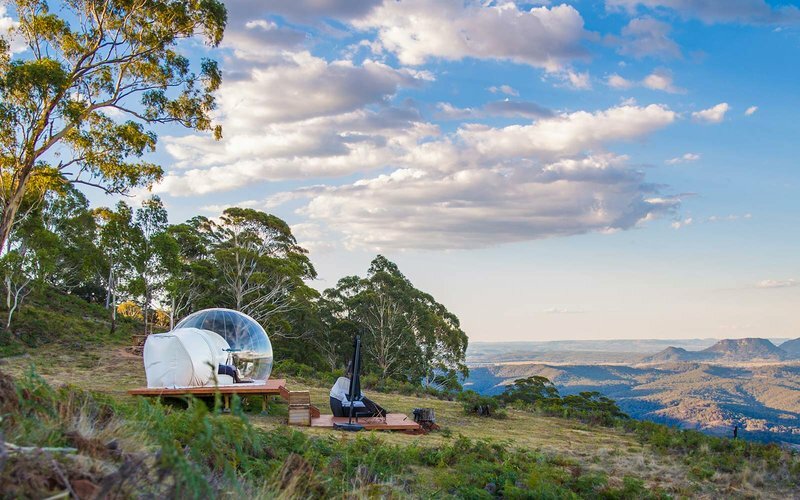 And even though the tent is located in the middle of the wilderness, visitors can rest assured knowing it’s fully equipped with WiFi, a bluetooth speaker, USB chargers and an in-bubble iPad. Plus, there’s an attached bathroom so guests don’t have to traipse outdoors to wash up or take a shower. If a relaxing bubble stay is exactly what you need, you can snag this bad boy for just $250 a night. The featured image comes courtesy of the Sheldon Chalet.